Sometimes a couple separates without concrete plans to divorce at a later time. In circumstances like these, a person who was financially dependent on his or her spouse during the marriage can be in a difficult situation. He or she cannot be eligible for alimony until a divorce occurs, but may not be able to maintain a reasonable standard of living without it. In situations like these, North Carolina divorce courts allow an arrangement called post-separation support (PSS). In this kind of arrangement, the supportive spouse makes payments to the dependent spouse until certain conditions are met. These conditions are included in the initial agreement, which can either be determined privately by the couple or ordered by a judge. If you are seeking support after a legal separation, or if you are a supportive spouse trying to arrange a fair agreement, call Raleigh post-separation support lawyers [firm-name] at 919-833-1040. In many ways, PSS is the same as alimony or temporary spousal support. It can be paid all at once, in regular payments, or through the transfer of property titles. When decided by a judge, it is based on the same factors as other forms of support: the incomes and needs of both parties, their earning capacities, and so on. A qualified Raleigh post-separation support attorney can provide additional information about the process of setting up and paying PSS. 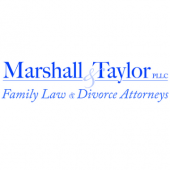 Raleigh post-separation support attorneys [firm-name] have years of experience helping separating couples reach fair financial agreements. To discuss the services we can provide for you, contact us at 919-833-1040.